NiceHash (nicehash.com) is the world’s largest crypto-mining marketplace that was created upon the concept of a shared economy. By connecting sellers and buyers on a global scale, NiceHash.com has successfully created an operation that connects these two chief components to enable investors the ability to receive computing power for mining cryptocurrencies. Brought into existence on March 24th, 2014 this operation has grown to exponential heights which on average harbors over 160,000 cryptocurrency miners daily. NiceHash is owned and operated by a limited liability corporation known as NiceHash, d.o.o. A search through a European business register portal known as KyCkr will reveal that NiceHash, d.o.o. is, in fact, a registered corporate entity within Slovenia under the company code 8015635000. Down towards the bottom of nicehash.com About Us page the provided corporate address for this corporation would be Pot za Brdom 104, 1000 Ljubljana, Slovenia. Is NiceHash a Pyramid Scheme? NiceHash is not a pyramid scheme. Unlike the vast majority of crypto-mining operations that we review, NiceHash has a sustainable business model that revolves around an intuitive seller and buyer dynamic. 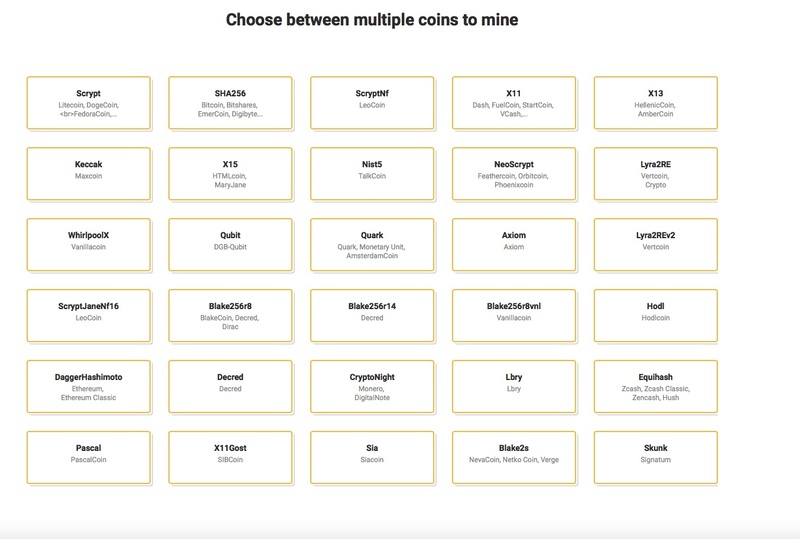 This innovative set up allows for users to decide between investing into a mining package or allowing them to amass profits by selling their hashing power. Regardless of which avenue an investor chooses to get started with at nicehash.com, the ability to generate tangible profits are promising and can be better understood by using their Profitability Calculator. As of November 2nd, 2016 NiceHash possesses a global rank of 3,991 according to a SimiliarWeb report. On average this site receives a total of 19.50 million visitors monthly while over 50% of that traffic comes from users who reside within Russia, the United States, Ukraine, Japan and Thailand. Furthermore approximately 30% of the traffic is funneled through referrals which originates from sites like BitcoinTalk.org. NiceHash is perhaps the world’s largest and most reputable cryptocurrency mining operation. Used daily by hundreds of thousands of users is testament enough that NiceHash is a legitimate and trustworthy Bitcoin investment opportunity. Whether you are looking to sell hashing power or mine cryptocurrencies, users are able to generate tangible profits which is an element that most other competitive cryptocurrency mining operations have eluded in accomplishing. Our advice for those of you looking to make a splash in the Bitcoin and cryptocurrency domain would be to consider NiceHash. Honestly, you would be hard-pressed to find a more legitimate opportunity in regards to crypto-mining. Verdict: NiceHash is a legitimate and trustworthy crypto-mining marketplace! Do you have any experience or knowledge to share about NiceHash? We encourage you to share your feedback in the form of a comment below! I have never taken any venture with them but my massive research indicates to me that this is one of the most promising ones. I will give it a try and see the outcome before completely calling it the best or scam. Why? You cannot just say ‘scam’. You should explain why, to help people to choose if they want to invest or not.